Fred Stichnoth entered the world of professional photography in 1987, when he was hired as an assistant to the famous German photographer Walter Schels. The 1990's saw Fred enjoying success as a portrait photographer, photographing the likes of director Wim Wenders; Thaddeus Ropac in his Austrian castle for Vogue; an exuberant Chrissie Hynde from The Pretenders for EMI Records; Pink Floyd in Berlin; and numerous album covers for many artists and bands. During the mid-nineties, Fred became enamoured with fashion photography. His photos were used in high fashion editorials for magazines and catalogues for a plethora of brands. The German-born, Bali-based photographer relinquished life as a celebrity and fashion photographer in the late nineties, where he was poised for popularity, in order to decamp to the East Indies - a home that is fast disappearing, along with their customs, legends, ceremony and regalia. 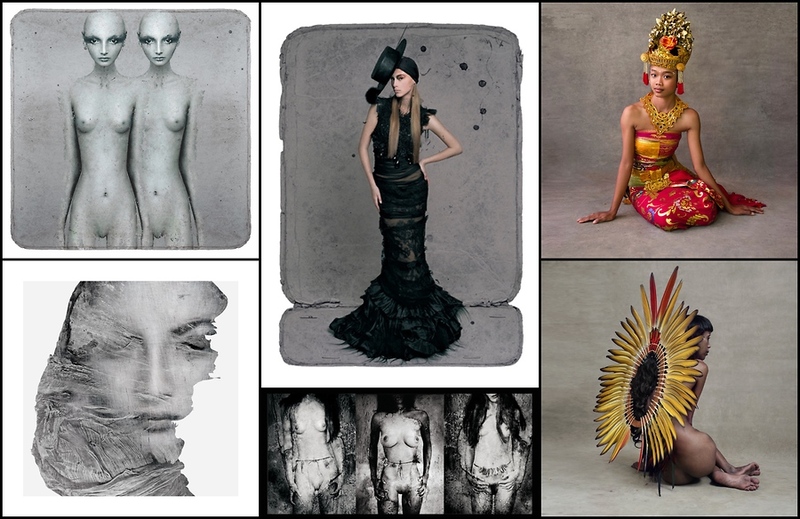 Stichnoth’s portraiture studies the beauty of women and ethnic culture using a unique combination borne out of necessity and unconscious influence. He employs an old fashioned technique whereby a backdrop is used to separate the subject from their surroundings. This juxtaposition is striking when the subject is so obviously separated from their natural environment. He also uses motifs and poses that echo the stylised productions in fashion magazines. The final picture comes together like an ethereal sculpture, caught on photographic paper. Want to learn more about Fred Stichnoth?